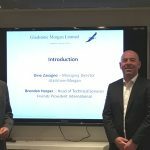 Gladstone Morgan’s experience in this sector of financial planning has shown that the mortgage market is wide and complex, particularly when viewed internationally. The most efficient solution will vary from client to client and will be dictated by considerations such as location of property, interest rates, currency of income and tax efficiency. Gladstone Morgan has developed a database of Mortgage Lenders who are able to provide competitive and flexible loan facilities, selected and tailored to individual requirements. Additionally, as a result of our well-established working relationship with a number of prime lenders, we offer expert advice and guidance on not only the handling of mortgages, but also the arrangement of mortgages using a variety of currencies. Gladstone Morgan will be able to consider all your needs and expectations and therefore assist you before making this important financial commitment. Gladstone Morgan views Property as a fundamental part of a client’s investment portfolio. Property in prime locations offers excellent potential return over the long term. 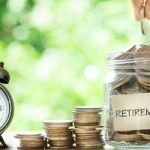 The potential for both capital appreciation as well as good rental return are the key reasons for considering it as a good investment. We are able to offer properties in a number of countries around the world. Whether you are buying property for investment as a holiday home or as main residence you should consider the ramifications of currency risk and liquidity in relation to other assets. Property should be viewed as a fairly illiquid asset.